I’ll never forget where I was the first time I heard U2’s landmark album, Achtung Baby. I was headed down the freeway from Los Angeles to San Diego and my friend put a CD in his Sony Disc man, plugged a cassette tape with a string attached to it into the Disc man, then plugged the funky cassette into his stereo. The music was weirder than his electronics setup. 1.) Are you sure this thing hooked up correctly? B.) Then are you sure that this is U2? The feedback, distortion, and the squealing were hard to reconcile with the fact that U2’s last album, Rattle and Hum, had sounded like the Beatles had been making out with Elvis at a rib joint in Memphis. It’s not that I didn’t like it, it just didn’t sound like U2. After two songs I realized that while the music and instrumentation sounded different, the lyrics made more sense to me than U2’s previous albums. In the past, I didn’t know where “Van Diemen’s Land” was, and had been involved with several “fires that I was desperate to forget”, but this music; songs about rage and lust and betrayal – this music I innately understood. Then we got to track 4. Track 4 was called “Until the End of the World”. In it, a man confessed how he had turned against another, and their downward spiral was likened to the voyage of a doomed ship. It was a spellbinding Tour De Force of Rock and Roll. I didn’t necessarily believe him in that moment. For me Rock and Roll was just Rock and Roll. I didn’t need to believe that it was anything more than it claimed to be. I was happy to let it sit at the surface level of interpretation. My friend Shaun needed it to be something different though. Shaun believed in Jesus. He didn’t just understand “the whole plot” of Christianity, he saw God’s hand at work in everything. In fact it could get downright annoying, listening to him make connections between God and just about anything that he came into contact with. The connection he was making in the car was that Jesus knew that Judas would betray him, but let him do it anyway. He was telling me that Jesus knew that Judas’ act of ultimate evil would be the catalyst for Grace being unfurled across the earth. After giving me the context, I could see the subtext. I knew the whole plot – I had grown up in church. The truth is just that I didn’t care all that much about life beyond Rock and Roll and having a good time. We listened to it again and it made sense to me. Within the year I had given my life to Jesus. A lot of it had to do with Shaun and the new friends that I had made in college. I had been an insider, someone who knew the truth but only cared about it for what it could bring me. In that sense I had always been betraying what I should have been believing. That’s probably why a song about betrayal resonated so deeply with me. I have two U2 song traditions. Every year I listen to “New Year’s Day” on New Year’s Day, and I listen to “Until the End of the World” on Good Friday. I still resonate with it, but this is no longer because I’m an insider, betraying what I don’t care to understand. Now I understand the betrayal that most could care less about. A few years ago I read a book called “Into The Heart” by Niall Stokes. In the book Bono details the time he spent looking into Judas, and how his betrayal of Christ was actually a service to the age that they lived in. I realized that Shaun had been much smarter than I had given him credit for. Out of that realization the members of U2 decided that the proper way to serve they age they had helped create was to betray it, to mock and ridicule the things that our age held dear. 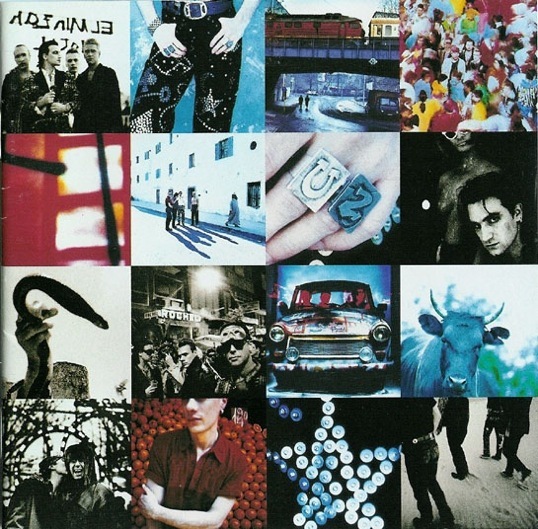 The result was Achtung Baby and “Until the End of the World”. The mockery of their own music and sense of self-importance brought them to a place where they put the thoughts and words of Judas to music. God put Shaun and I together, in that car, for that conversation, and the soundtrack of our discourse was the result of U2’s betrayal. It was the beginning of the end of my world as I knew it. I never knew I could be grateful for so many betrayals. I was down the hold just passing time. In the garden I was playing the tart. You were acting like it was the end of the world. But my sorrows, they learned to swim. You, you said you’d wait till the end of the world. I believe that you shared with Angela and me about your first memory of “Until the End of the World” many moons ago while discussing the Wim Wenders film of the same name, but I had forgotten about it until today. Thank you for sharing that memory here. Remember Wim Wenders web browser in that movie? It was like a bear searching through a city! Fantastic! Yes, and the bear browser spoke too: “I’m searching… I’m still searching… I’ve found it!” I think Apple’s Siri should recognize her *forebear*!